Disabling comments in WordPress posts is one of the most asked questions by WordPress beginners. As a number of spam comments increasing day by day. There are many good anti-spam comments plugins are available too for this issue. But still, some of the users don’t want to see any comments in their blog post for many good reasons. Mostly getting genuine comments is always good for every blogger, but some prefer to turn off commenting option from their blog entirely. Reasons could be like avoid spamming, designing issues, avoid blog commenting, etc. 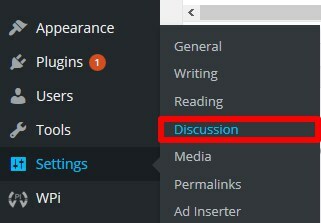 # Default article settings: Uncheck both “Allow link notifications from other blogs (pingbacks and trackbacks) on new articles” and “Allow people to post comments on new articles“. Don’t forget to save changes at the bottom of the page. Above steps are enough to disable comments on your WordPress blog posts. For an advanced method to erase all past comments and completely remove all commenting features from your blog, you can go for “Disable Comments” plugin. You can also try this trick to disable comments on old articles. Go to Setting > Discussion. Under Other comment settings: Check on “Automatically close comments on articles older than ___ days” in days put the value “0”. Excellent tutorial! I have a wordpress site and this tutorial is very helpful. I absolutely like this tutorial. Hey Dev, good to hear that you like it. I am glad that you find it helpful. Kepp visiting for more updates.